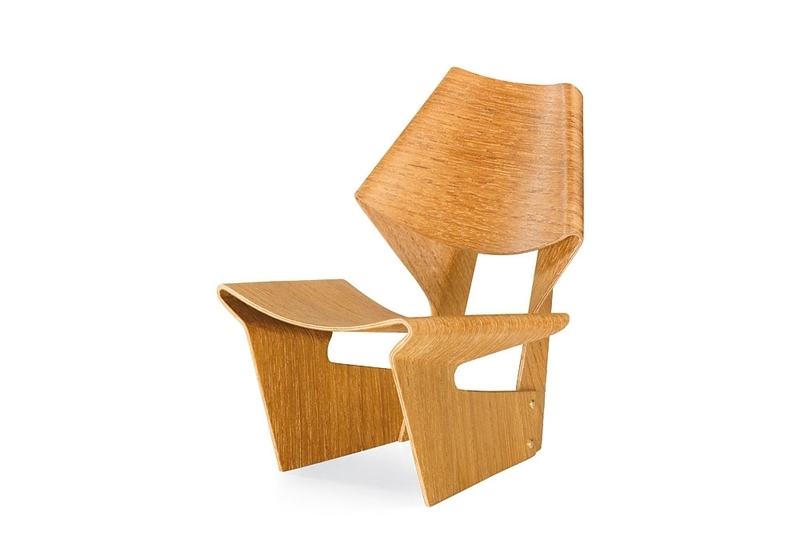 Vitra Miniature Laminated chair: Designed by Grete Jalk (1920-2006) in 1963, the Laminated Chair is regarded today as the Danish designer's best-known work. The chair, for which Jalk also created a companion side table, was realised in collaboration with the cabinetmaker Poul Jeppesen. 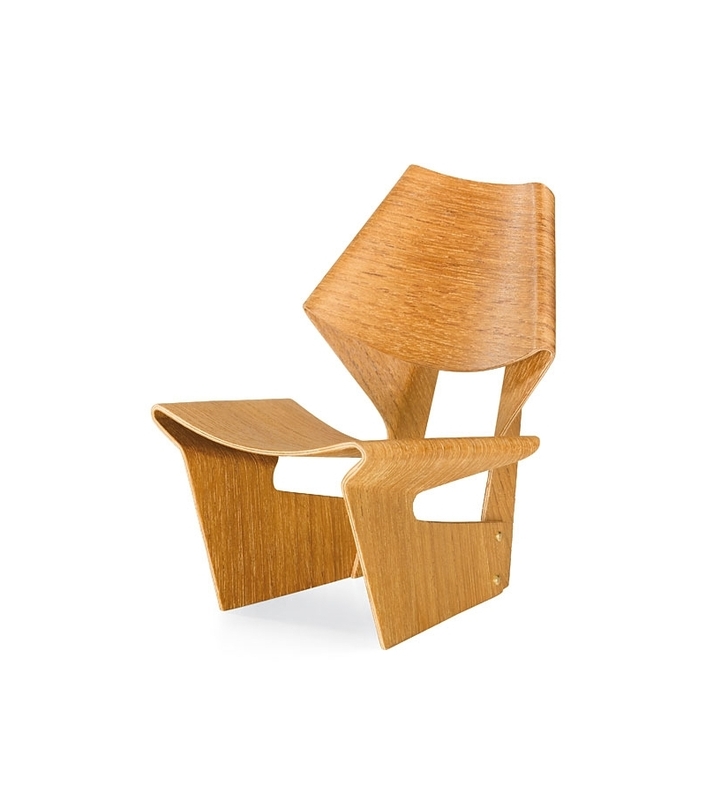 Vitra Miniature Laminated chair: Designed by Grete Jalk (1920-2006) in 1963, the Laminated Chair is regarded today as the Danish designer's best-known work. The chair, for which Jalk also created a companion side table, was realised in collaboration with the cabinetmaker Poul Jeppesen. Although it won first prize in a competition organised by the British newspaper Daily Mail during the year of its inception, the chair never went into industrial production. Probably only a few pieces from the original series of approximately 300 still exist today. This explains the extremely high prices that have been paid for this model at international auctions in recent years. 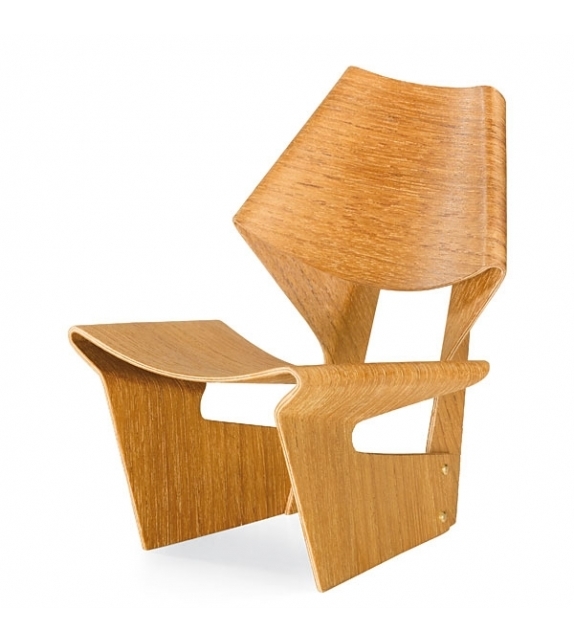 The expressive sculptural form of the chair, composed of two similarly shaped pieces of moulded plywood, marks a late highlight in the engagement of prominent designers with this material, which had commenced in the 1930s. Moulded plywood with teak veneer.